The Apple Annual Worldwide Developers Conference introduces its latest innovative technology for developers. Olivet Institute of Technology (OIT) participated in the event as Apple showcased the latest iOS 5 for mobile devices, their new OS X Lion, and iCloud. The technologies are very well tied into the university and IT college tools in exploring efficient communication methods for ministry affiliates. The latest RnD project involved developing applications for smartphones and iPhones. The app allowed users to receive the latest reports and information directly to mobile devices. Beyond receiving data, the new introduction of iCloud allow users to upload photos, music, documents into Apple servers and then that information is synced to mobile devices. 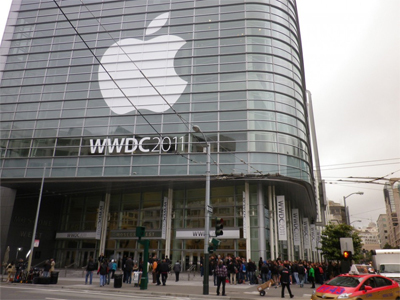 Many students and affiliates utilize Apple devices, thus making the participation in WWDC an important experience. The increase in efficiency can also benefit work flow within many organizations as students are spearheading OIT development and exploration of the technology introduced by Apple.